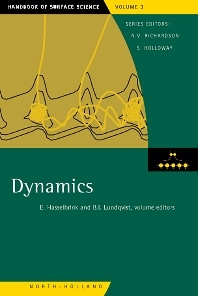 This volume of the Handbook of Surface Science covers all aspects of the dynamics of surface processes. Two dozen world leading experts in this field address the subjects of energy exchange in gas atoms, surface collisions, the rules governing dissociative adsorption on surfaces, the formation of nanostructures on surfaces by self-assembly, and the study of surface phenomena using ultra-fast lasers. The chapters are written for both newcomers to the field as well as researchers.